People spend months and even years dreaming about one day owning their very own RV to go Workamping. Packing up and taking off. Cruising the highways and byways of the good ol’ U.S.A. and seeing all that this country has to offer is something special to look forward to. Regardless of whether your dream is living in an RV fulltime or taking the occasional Workamping road trip get-away, there are many ways to set yourself up to afford the price of owning an RV and making your dream your new reality. One of the major reasons many people defer their dream of owning an RV is a false perception that they would not be able to afford one. Looking from the outside in, it often appears that only a small percentage of citizens have the financial ability and stability to afford purchasing and traveling in an RV. This couldn’t be farther from the truth. To be honest, just about anyone can afford an RV and almost everyone can afford to travel in one. There are four financial keys that you’ll need to address in order to make your dream of living the RV lifestyle come true. I’m talking about establishing your purchasing power, earning income on the road, creating a working budget and last but definitely not least, decreasing your expenses. By addressing each key component, you can prepare yourself for the exact moment when your new reality will begin. For some people, saving is a top priority and for others…well it’s just not a priority at all. 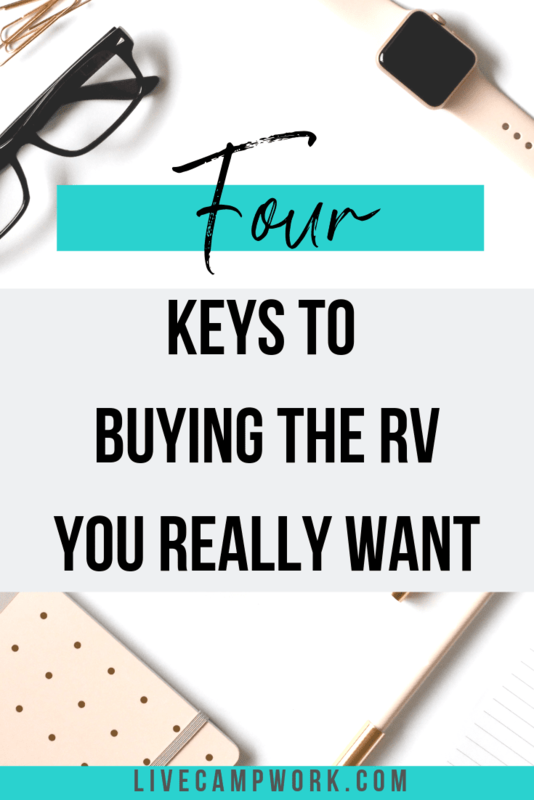 But if you plan on making a big purchase like an RV, it needs to be your main priority. RVs are specialty vehicles – ones that come in all shapes and sizes. You first have to decide on what type of RV (Class A, Class B, or Class C motorhome, travel trailer, or fifth wheel) best suits your needs. Then you’ll need to think about what features you need. Do you need a king bed? Will you need slide outs? Each feature will have a price associated with it and you’ll need to decide if it’s actually worth the extra cost. After you set your eyes on exactly what you would prefer to travel in, it’s time to be realistic. Can you afford it? If so, great! But if not, you’ll need to save aggressively and possibly make several compromises to make your dreams of living the RV lifestyle anything more than just sweet dreams. Establishing your purchasing power is a combination of aggressive saving and research. How much can you save each month? What about each week? Set realistic goals and make yourself meet and exceed them. Try reorganizing your income. Instead of paying your bills, buying food, clothing, and putting a little aside for savings; try putting your desired savings aside first, then allocate the remaining funds to your household expenses. You’ll be pleasantly surprised how much you can save, by just adjusting the order you spend the money. You also need to do your homework! Knowing the going rate for your chosen model of RV, what any upgrades are worth (both to you and in the market), are things that you need to consider before whipping out your checkbook. After you’ve done your research and saved your coins, you are now armed and prepared to negotiate your way into the right price for your new RV! If you don’t have a nest egg or retirement income that can sustain your travels, you’ll definitely need to be creative when finding ways to make money while on the road. Travel-friendly jobs are the newest crave and lucky for you, there is almost something for everyone in this emerging genre. From online entrepreneurs and freelance writing and photography to traveling craftsmen, and of course Workamping jobs. There is definitely a full spectrum of employment opportunities where you can make a pretty decent amount of cash while traveling. My first recommendation is to try to establish a source of reoccurring online income. Something you can do from your computer that will bring income into your bank account on a regular basis that only requires basic tasks like typing, uploading, and emailing. Jobs such as being a travel writer will usually pay after publication, so money will continue to flow in as long as you continue to sell your work. Having a passive income like this, as the base for your travels, will make your adventure more financially stable and mentally comfortable by eliminating the stress of finding actual work while on the road. Second, I recommend booking some Workamping jobs with perks like free sites and utilities, plus hourly pay in a beautiful location. Workamping can be a real life saver or budget saver for that matter! You can cut the expense of paying for your site by simply staying in areas for 3 months, or even a season, and earn a paycheck by doing jobs onsite that will further your camping knowledge and enjoyment. You may be good at mental math, but this is no time to show off your skills. Everyone who travels, regardless of trip length, needs to establish a working travel budget. Not just a budget you made on your computer and never take the time to fill in either. This budget will be your saving grace in times of despair and in times of enjoyment. It will tell you exactly how many more dinners you can afford when to boondock when to change your oil, get new tires, and just how much you really spend on gas each month. Knowing how much you have and allocating properly in the areas you need it the most, will make your trip more enjoyable by eliminating unnecessary stress. Your travel budget will undoubtedly be the most comprehensive document that you’ll need to create before hitting the road. Every traveler’s budget will include the following four categories. What you fill them with is entirely up to you. Park fees, fuel, activities, and vehicle maintenance are just the tip of the iceberg when you start thinking of what your travel expenses might be. Grab a sheet of paper and think of the items that you’ll need to include to make your budget complete. How many activities do you plan on doing in each place you visit? Are you staying in resorts or state parks? Is your RV covered for routine maintenance? How old are your tires? Will you try boondocking for most of the trip? These are very important questions that you’ll need to answer honestly if you want your budget to work. Everyone has to eat, right? Right. But what you eat and how much you spend on those meals is an entirely different story. Items like dining out, groceries, alcohol, and even specialty items like protein powder will need their own space on your budget if you plan on keeping track of what you’re spending. Think about how you currently eat, and then think about what changes, if any, you’ll need to make once you hit the road. Personal items are where things can get a little tricky. Items like clothing, shoes and toiletries are expenses that almost everyone will need to budget for. But what about the extra things that make you smile – like entertainment or manicures? Did you budget for those things? If not, you’ll need to add them to your budget quickly. It’s really easy to overlook spontaneous expenses, so be sure to think hard when you’re making your list and modify as things change. Insurance is the number one item in this category. In fact, you might choose to list insurance as its own category, depending on if you have several companies as providers or just one. Memberships are also a big consideration. It’s easy to get carried away with the number of membership accounts you have and how much you’re spending on them monthly. Evaluate your membership accounts as they come up for renewal and weed out the ones that are no longer needed! The last big consideration in this category is connectivity. Since you’ll be spending more time on the road traveling in your RV, you’ll need to make sure your phone and internet services are exactly what you need them to be. After you’ve determined your expenses, it’s time to focus on cutting back. Saving money each month by decreasing your expenses is a smart way to further your travels. Reducing the amount of money paid out in various areas to far less than what your monthly income is will allow for extra funds to use on fun activities, rainy day funds, and emergency maintenance. Many people assume, because RVers travel frequently, their expenses are high when actually it can be quite the opposite. 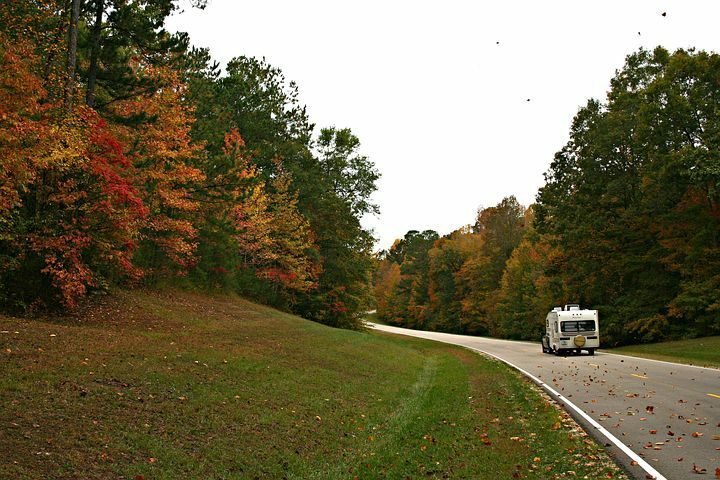 Many RVers live comfortably on modest budgets while still enjoying what time on the road can offer. Cook your meals at home instead of dining out to save money on your meals. You can easily make enough for lunch the next day or two days of meals at once. You’ll also skip the need to tip and can simply keep that 20% in your pocket. Make an effort to travel at reduced speeds, maybe just 5 miles below the speed limit, to save on your fuel expenses. You’ll add a few extra minutes to your commute, but the savings will add up quickly. When reserving sites, make sure to search for spots with just the amenities you need. A heated pool is great, but why pay for it if you have no intention of using it!